The relaxation of body and mind is the ideal condition for an optimal Reiki treatment. In the state of deep relaxation the flow of energy and self-healing powers can be activated more easily. All compositions on this CD are written and performed by Margot Reisinger. After the release of her meditative albums "QI•CHI•KI" with the project "Existence" and "BUDDHA & BONSAI VOL.5", both on Costa Verde, she was asked by Reiki masters to create music, especially designed for Reiki treatments. The result is sixty minutes "wellness sound" throughout, in outstanding sonic quality. Sensitive instrumentation with flute, traditional Chinese flutes, pan flutes, Koto, acoustic guitar and keyboards is complemented by enchanting nature sounds and singing birds . The gentle rhythm of the Koto, in perfect harmony with flutes and guitar, allows us to experience the natural charm and meditative power of acoustic instruments. The music on this album is especially arranged for Reiki sessions - a soft bell sound can be heard at three minute intervals. The brilliant sound quality is delivered by the experienced sound engineer and producer Tom Bates, whose musical talent has earned him eight Grammy Awards over the past thirty years. This music is also perfectly suited for any other kind of healing treatment, such as Aroma- and Colour therapy, Shiatsu, Acupuncture, Massage, Tai chi, Qi gong, Meditation, Light- and Energy work, as well as other Wellness activities. 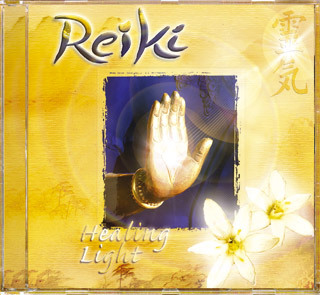 "This music is perfect for Reiki meditation, healing and the inner silence of the loving Self. A joy to be experienced!"